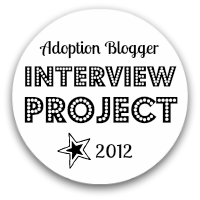 I missed the Open Adoption Blogger Interview Project. In all honesty, it came at a time when I was starting therapy and dealing with family problems. The energy to comb through another's blog and come up with intelligent questions escaped me. I encourage you to check it out! Apr 10 Curious About Open Adoption?